receiving an Associate’s Degree in Liberal Arts. 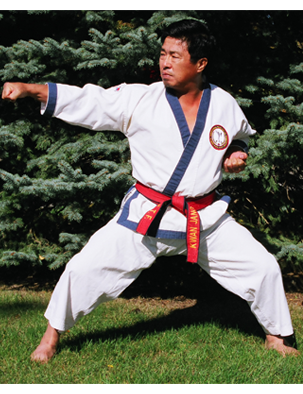 Grand Master Saul M. Kim has taught Tang Soo Do karate to over 1000 gups and more than 200 black belts since 1975. He was promoted to the rank of 8th Dan in 2005 by his father, Grand Master Jae Joon Kim. Grand Master Saul Kim is currently a 10th Dan and teaches students in Brandon, Florida at Kim's Karate and Hap Ki Do Academy. To honor his father and his family, Grand Master Saul M. Kim has committed himself to continue developing and expanding the World Traditional Tang Soo Do Federation across the United States and around the world.